The stakes in this debate reached new dimensions last fall with a highly controversial proposal by Sec. Rick Perry and the U.S. Department of Energy (DOE), which claimed that the resilience of the electric grid is threatened by the premature retirement of uneconomic coal and nuclear plants.DOE’s flawed proposal – to bail out these plants through a profit-guarantee mechanism – was considered and unanimously rejected in January by the Federal Energy Regulatory Commission (FERC), the agency charged with overseeing our nation’s electric grid. DOE’s proposal, in short, was an incredibly bad idea. A Customer-focused Framework for Electric System Resilience, a new report authored by Alison Silverstein and Grid Strategies, aims to answer these questions. The report, commissioned by Environmental Defense Fund and Natural Resources Defense Council, recommends a customer-centric framework for evaluating electric system resilience and concludes that the most effective resilience solutions center upon the wires connecting the grid: distribution, and to a lesser extent transmission. By contrast, generation-related solutions – like keeping dirty coal and uneconomic nuclear plants online past their retirement dates – are the least effective for improving resilience. According to the report, power system resilience is closely intertwined with and functionally inseparable from reliability. Reliability is already ensured by grid operators, and is aimed at reducing the probability of power interruptions, while resilience is aimed at reducing the damage from outages and shortening outage durations. Many reliability measures improve resilience and the same entities responsible for providing reliability also provide resilience. In fact, FERC, together with the North American Electric Reliability Corporation (NERC), is already addressing the resilience of our electric grid under the umbrella of reliability. However, resilience also requires action by distribution system providers and end users, suggesting action beyond FERC’s jurisdiction – by state regulators, for example – is important. The report confirms earlier findings by the Rhodium Group that over 90 percent of customer outages are due to distribution-level problems and most are weather-related. Damage to the transmission system, while infrequent, can lead to more widespread power outages that affect a large number of customers. On the other hand, generation shortfalls cause a fraction of customer outages – between 2003 and 2017, only 0.2 percent of all customer-outage hours (including 0.0002% from fuel supply problems) were caused by generation shortfalls. Silverstein and Grid Strategies emphasize the importance of examining resilience using a holistic approach and a broad framework that focus on the customer’s experience. Under such a framework, the power system starts with the customer and expands to distribution, transmission, generation, and fuel supply. Resilience is measured from the customer’s perspective. There are many threats to the power system that need to be considered when assessing power system resilience – these include natural hazards such as hurricanes and ice storms, geomagnetic disturbances from solar weather and electromagnetic pulses, as well as cyber and physical attacks. Given the impacts of climate change, extreme weather hazards are increasing in both severity and frequency and are projected to get worse over time. Although the bulk of customer outages occur at the distribution level, both distribution and transmission are most vulnerable to almost all major threats – which is why efforts to improve resilience should focus on these assets. While it is impossible to eliminate – and extremely costly to protect against – all threats, an all-hazards approach can manage risk by planning for as many threats as possible. Given resource limitations, policymakers need to evaluate the cost and effectiveness of different resilience measures. Silverstein and Grid Strategies recommends that resilience measures be evaluated based on customer impact. 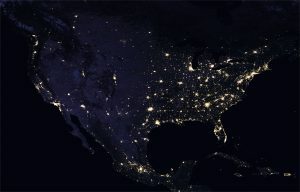 The authors find that the most cost-effective and highest value resilience measures address distribution and transmission improvements – specifically distribution, since most outages occur at this juncture – as well as customer protection efforts, such as distributed generation like energy storage, which can help people survive outages more safely. The authors also find that generation-related solutions – the type of approach reflected in DOE’s flawed coal bailout proposal — are not effective at reducing customer outages. Generation and fuel supply shortages rarely cause customer outages and no single unit or type of generation is critical or resilient in itself. For example, coal and nuclear units are not good at providing many essential reliability services, such as flexibility, frequency regulation, and response. 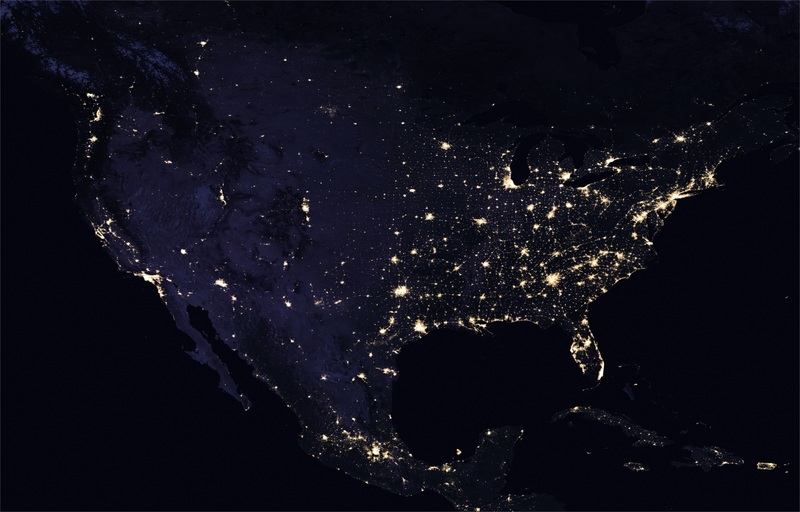 Instead, grid operators have always relied on a portfolio of supply- and demand-side resources to provide reliable and affordable electricity to Americans. NERC has already defined essential reliability services to include frequency support, voltage support, and flexibility, or ramping. The authors find no evident need to compensate generators or other assets for bulk power system resilience beyond the technical needs already identified by electrical engineers. Well-designed markets that properly compensate flexibility and allow all resources to participate, including distributed energy resources, are best capable of supporting reliability and resilience. Instead of wasting time and Americans’ money looking at ways to prop up uneconomic generators, such as coal in the name of resilience, policy-makers should focus attention on distribution, transmission, and customer-protection measures that can actually help improve the resilience of our power system. There is a curious blind spot in this analysis. And just how is reliability is ensured by grid operators? One of the essential elements is making certain that sufficient generation is able to operate in order to meet demand. This is mentioned nowhere in this piece; it carefully dances around the issue of supply. New England came within days of upsetting that number in early 2018. Natural gas delivery shortfalls forced power plants to switch to fuel oil, and fuel oil supplies plummeted from 68% of full stocks to just 19%. Delivery constraints due to bad roads and a lack of drivers threatened the ability to use even the oil on hand. A longer cold snap or sudden supply bottlenecks would have forced rolling blackouts and threatened lives across the area. generation-related solutions – like keeping dirty coal and uneconomic nuclear plants online past their retirement dates – are the least effective for improving resilience. Until there’s enough of a cold snap or other disruption to actually bring the system down, that is. Then there’s no substitute for generation-related solutions. None whatsoever. This looming problem will become a bigger threat if anticipated and proposed changes in the generating mix occur. It is literally a matter of life and death, so why the exclusive look backwards? Ah, there’s the answer. EDF and NRDC have long been rabidly anti-nuclear, and he who pays the piper calls the tune. Sorry, but those who front for natural gas and petroleum companies (which are one and the same in the USA today) should not be given ANY credence in matters of energy, climate or environmental policy. AAMOF, the corporate charters of all such organizations should be revoked as a matter of the public interest. Until the lack of that resilience manifests itself in the problems that are all-too-obviously on the horizon. But by then the damage will have been done, the arbitrageurs will have walked away with their scarcity rents, and the public will be left holding the bag. Good observations, EP. Funny, I never heard nuclear was “uneconomic” until Fukushima, when the people who sell natural gas for a living recognized a golden opportunity. I had always thought of Jerry Brown as anti-nuclear by pre-disposition – full of fear, not quite smart enough to figure it out. Then in January Shellenberger published Jerry Brown’s Secret War on Clean Energy, and a lot of pieces fell into place (the father of California’s next governor, Bill Newsom, was in on the scam too). What does the proposed pathway to deep electrification by 2050 look like? What is the role of a global cooperative agenda on that pathway? What new appointments were made by the Trump Admin, and what do states think about the exec order on pipelines?